Many company’s are launching the foldable phones, and Samsung and Huawei have already launched some good devices which can be folded. 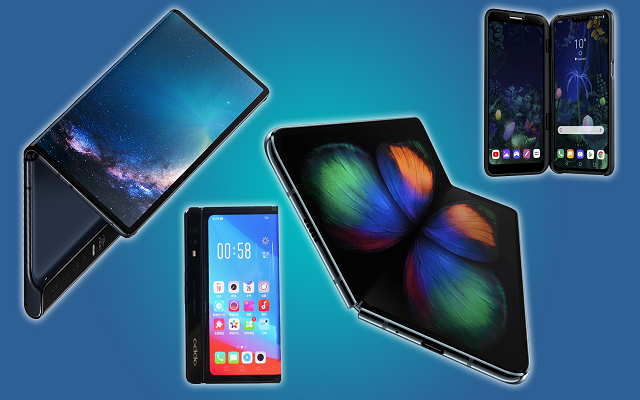 Many Chinese companies are also working on foldable devices, however, there is a smartphone giant who is working on vertically folding phones. Last month we have got a patent by Sharp revealing a vertically folding phone. Now we have got a prototype that confirms that the patent was totally true. This vertically foldable device will feature 6.18” 1440 x 3040 AMOLED panel with a very big notch. The notch folds inwards from exactly the middle. So, this design is quite different. According to the company, the device can withstand 300,000 folding cycles. Many people fear that foldable devices are not durable, however, 300,000 folding cycles confirm the durability of the device. Moreover, the company is not only manufacturing the foldable device but last year Sharp introduced a phone with a tiny camera notch on the best edge call, which is known as the Aquos R Compact. The phone came with a humongous bezel on the bottom for a fingerprint sensor but it didn’t look good. This year the company is focused to increase the screen size while keeping the fingerprint sensor. That means the Aquos R2 Compact will have two notches. It is to be expected that R2 Compact might be available in Japan in mid-January, but there is no information about the price of the phone yet.